The world's largest mobile industry conference has come to an end. The DeviceAtlas team was present at MWC 2016 having many inspiring conversations about the ever-changing mobile device landscape. Here are some impressions from this year’s new product releases and announcements that everyone was talking about in Barcelona. The DeviceAtlas team exhibited at Hall 8.1 D11. We were delighted to meet a lot of mobile technology enthusiasts with whom we discussed device detection, content adaptation, ad targeting and mobile analytics. A big thanks to everyone who stopped by our stand to have a chat. Our oldschool, colourful phone jellies were extremely popular too! A lot of our guests left our stand with one of DeviceAtlas USB sticks which contained lots of useful information about device detection and its possible applications. And here's what we learned about the mobile industry by visiting other company stands at Mobile World Congress 2016. Every year new phones look and work similarly which is what makes it really hard to convince customers to pay extra for what’s new in store. Phone makers have always struggled to avoid boring “me-too” kinds of products which don’t really stand out. At MWC 2016 one of the ways to stand out was fun accessories. ‘Accessories’ was something that let LG steal the show at this year’s MWC. The Korean company surprised us with a bold attempt to redefine smartphones by applying a “modular type” design to its flagship device, the LG G5. Google has been working on a modular design before but without producing anything commercial. 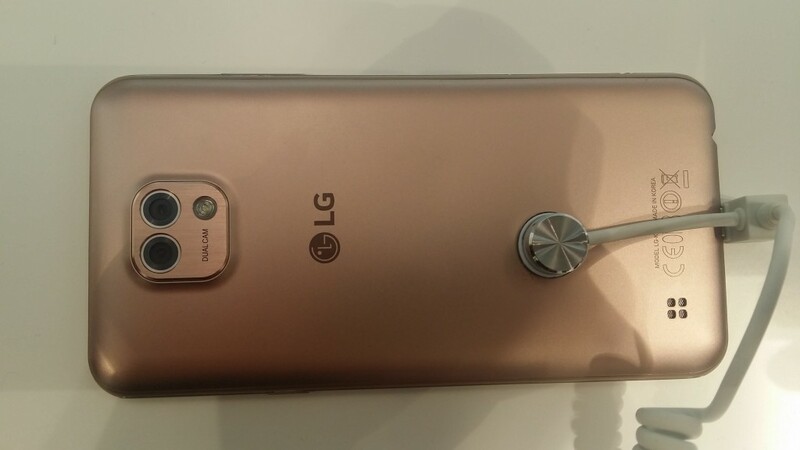 The owners of LG G5 have the ability to purchase and use a whole set of swappable accessories dubbed 'Friends' which augment the smartphone's capabilities, for example a removable battery, or the Cam Plus apparatus that changes the smartphone into a more traditional point-and-shoot camera. Other accessories released with the LG G5 include LG Hi-Fi Plus for quality audio, LG 360 Cam or LG 360 VR headset. The simple and ingenious Google Cardboard made it possible to let all users get a taste of a smartphone-powered VR, due to the cardboard’s low price tag and the abundance of compatible apps. And thus virtual reality was higher on the agenda for several companies participating in the show than it was in 2015. In fact the VR hype started before MWC 2016 even kicked off with Mark Zuckerberg’s surprise appearance at the Samsung event where he declared that virtual reality “is going to change the way we live and work and communicate.” Several major manufacturers exhibited their attempts to get a slice of the VR cake. Some VR headsets work similarly to Google Cardboard which means that there is a slot where the smartphone must be placed in order to generate the images that create the VR experience. A notable example we spotted at the show is the Samsung Gear VR developed in collaboration with Oculus (just check out this VR rollercoaster demo). Samsung Galaxy S7 pre-orders will come with a free Gear VR. Other VR devices work as a head-mounted display in its own right. For example in case of LG 360 VR the phone does all the processing and feeds the data to the headset but doesn’t work as the headset’s display. External, smartphone-compatible cameras didn’t make a big impact at last year’s event, with the exception of the quirky, periscope-shaped HTC Re. At MWC 2016 cameras were much more visible although still a bit quirky in terms of design. 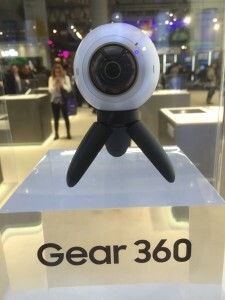 Samsung Gear 360 is an eyeball-shaped camera that shoots, as the name suggests, 360-degree spherical photos and videos. The camera requires Samsung Galaxy S7 or S7 Edge which come with a software capable of creating the spherical effect (other “select” Samsung phones will be supported in the future). LG 360 Cam is a similar product which also captures spherical images. The supported smartphone is obviously the LG G5 and the design is slightly less controversial. Images shot with LG 360 Cam can be viewed using the LG 360 VR and uploaded to Google Street View and YouTube. Nokia also took a stab at the spherical VR cameras by releasing Nokia OZO. The device is a professional VR camera aimed at film makers. While virtual assistants have been available for a while (Siri, Cortana), the Xperia Ear takes their 'services' to a whole new level. The tiny silicone earpiece displayed at the Sony stand works as a virtual assistant responding to your verbal commands, such as dictating messages or updating calendar appointments. Xperia Ear connects to a dedicated phone app through Bluetooth or NFC. HP Elite x3 is one of the few Windows Phone-based devices exhibited at MWC 2016. Aimed at business audience, the phone uses Microsoft Continuum which allows you to turn your phone into a full-blown work station when needed. You can do it by using HP Desk Dock with your Elite x3 which comes with a selection of ports for connecting a display, a mouse, a keyboard, etc. Another option for Elite x3 owners is the HP Mobile Extender which is basically a laptop based on the processing power provided by the smartphone. The advantage over a laptop is the weight of the accessory at just 1 kg. At this year’s MWC we have seen a number of new releases which made us believe that some new smartphone features may become more common in the near future. Of course it also depends whether Apple (traditionally absent from the event) implements some of these features in its upcoming phones which, according to rumours, is quite probable at least in terms of dual lens camera and the USB-C port. If you’re not a big fan of the reversible USB Type-C port, you should probably get used it. The Type-C port has been applied in some new arrivals including LG G5, Xiaomi Mi 5, and HP Elite x3. It was also used in other recently released phones, such as OnePlus 2, Nexus 5X, Nexus 5P and Lumia 950. Although the plug is not present in Samsung Galaxy S7, or the new Xperia X. Another selling point that may (or may not) attract new customers is the dual lens camera which we have seen on a few phones displayed this year. In case of LG G5 and LG X Cam, the dual lens camera comes with two different sensors. One of them is a standard-angle, and the second one is an extra wide angle (users can swap between them). Sony has recently stated that it expects dual lens cameras on flagship smartphones by 2017. However, the new Xperias exhibited in Barcelona were equipped with single lens cameras. A dual camera setup is rumoured to appear in the iPhone 7. Both Samsung Galaxy S7 and LG G5 come with an 'always on display.' It means that the display can always show the clock, calendar, app shortcuts, notifications, etc. even when seemingly turned off. No more turning on your phone just to check the time. According to Samsung, the 'always on' display drains the battery by only 0.5% per hour and it deactivates when the proximity sensor is covered. There were some attempts to create a modular smartphone in the past, such as Project Ara, but none of them were successful so far. 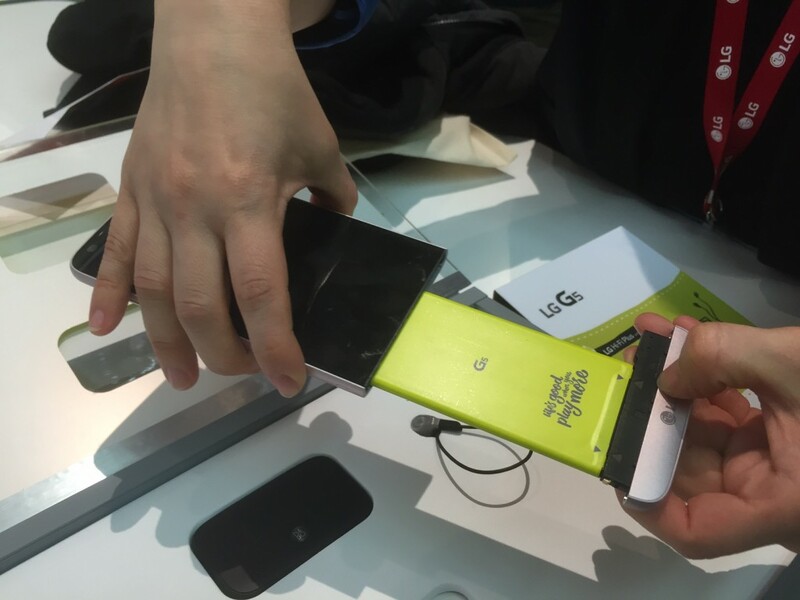 At MWC 2016 we saw two examples of a modular design, including the above-mentioned LG G5 and the Fairphone 2. Perhaps in the future we'll see more customizable and repairable mobile devices. Caterpillar, a manufacturer of construction and mining equipment, exhibited at MWC 2016 the world's first phone equipped with the 'superpower' of being able to see through walls. 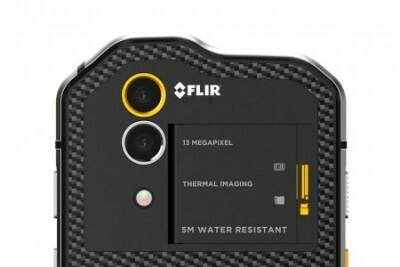 The CAT S60 comes with a built-in thermal imaging camera that can visualize heat as a colourful map from as far as 30 metres away. 5G was one of the major themes of this year's MWC. This wasn't the first time we heard of the term “5G” in Barcelona but this year it felt closer to reality. One of the companies supporting the development of 5G networks was Intel who announced collaboration with a number of partners (AT&T, Verizon, Ericsson, Huawei, ZTE) to develop and test 5G networks. Mark Zuckerberg also showed his keen enthusiasm towards 5G networks for which “VR will be a killer application,” as he put it. Facebook teamed up with a number of partners including Nokia, Intel and Deutsche Telecom, to drive the Telecom Infra Project aimed to create more efficient ways of handling data-intensive operations (such as VR) through mobile networks. We're not particularly surprised that Facebook is now planning a closer cooperation with mobile operators given its difficulties rolling out the Free Basics project (part of the Internet.org program). The backlash in India was caused by operators who argued that the project was inherently unfair helping just one, already dominant player. Another interesting initiative related to mobile networks was aimed to enhance texting services. A number of global operators, the GSMA and Google have partnered to expedite the availability of Rich Communications Services (RCS) to enable operators provide a global messaging service for Android devices. The improved SMS messaging will be based on a universal RCS profile using the GSMA specifications and accessed through an Android RCS client. At MWC 2016 we saw some interesting mobile devices that no longer tried to mimic the iPhone or the Galaxy line-up. We saw less lookalikes and more enjoyable attempts to differentiate offerings of which the best example is the LG G5's modular design. With many clever or just fun accessories used with the phones presented by LG, Samsung, Sony, HP, and other brands, the non-Apple world seemed to be a more interesting place. This trend can be further enhanced by the upcoming revolution related to 5G, VR, and improved mobile services. Have you visited this year's Mobile World Congress? If you have any questions related to the show or DeviceAtlas services, let us know by writing to info@deviceatlas.com.